Students are challenged to participate in the four categories of Academic, Arts, Sport and School Culture throughout the year. Each category has six events for the students to participate in and strive for excellence at. 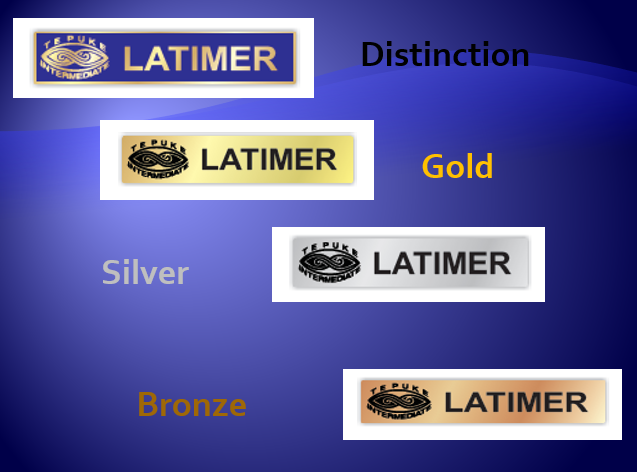 Achieving three tasks will earn a Bronze Award, four tasks a Silver Award and five or more a Gold Award. Once gold status is achieved the student can complete community service to earn a Distinction Award. To achieve 3/6 events in all categories of Sport, Arts, Academic and School Culture. All events must be verified. To achieve 4/6 events in all categories of Sport, Arts, Academic and School Culture. All events must be verified. To achieve 5/6 events in all categories of Sport, Arts, Academic and School Culture. All events must be verified. To achieve a Gold award and also complete the Community service section. All events must be verified and confirmed by school. Increase at least 1 level in ‘The Beep Test’. Attend the Formal Social Dance practices + Formal Dance. Increase Reading or Writing or Maths by at least 2 sub levels. (Distinction only. 2 out of 3 to be completed. Verification must be obtained on ‘Headed Notepaper’ and cannot be written by an immediate family member). Volunteer your time to a charity/ complete a social action / non-profit making organisation for a minimum of 8 hours.